The Controlled Sound® Clear Top Black Dot™ drumheads features focused midrange tones with a well-defined attack. The Controlled Sound® Clear Top Black Dot™ drumheads features focused midrange tones with a well-defined attack. 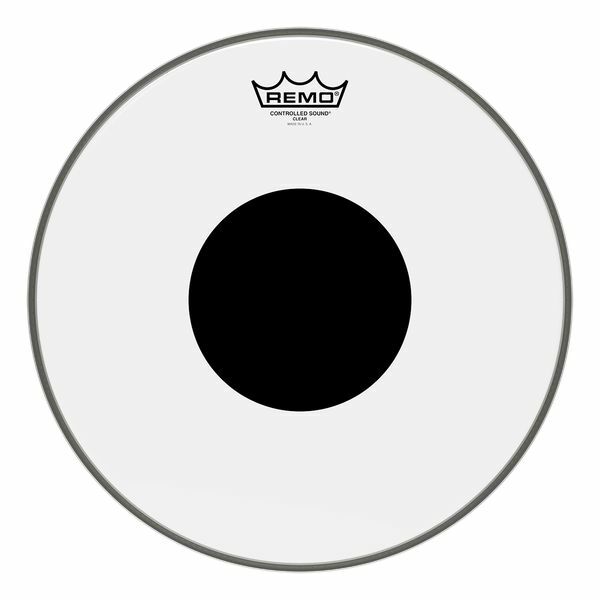 Constructed with 1-ply of 10-mil Clear film and a 5-mil Top Black Dot™, Controlled Sound® Clear Black Dot™ drumheads provide articulate attack and projection with added durability. The drumhead's outer area offers enhanced tone and sensitivity while the center Black Dot™ adds durability and overtone control.